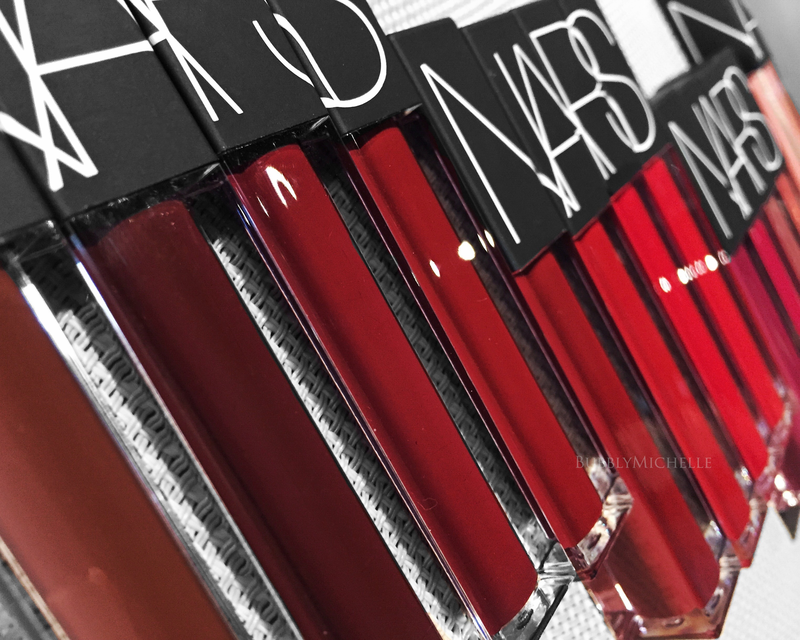 It’s always a spectacular affair these NARS previews. There’s always something to get everyone buzzing with excitement. And this fall, the biggest deal were the new Velvet Lip Glides that will be launching this October (applicable to Singapore). As always I come armed with loads of preview pics as well as a set of swatches just for you. Do read on! These new lipsticks strike a perfect balance between softness & strength, coverage and comfort in a full range of colours. 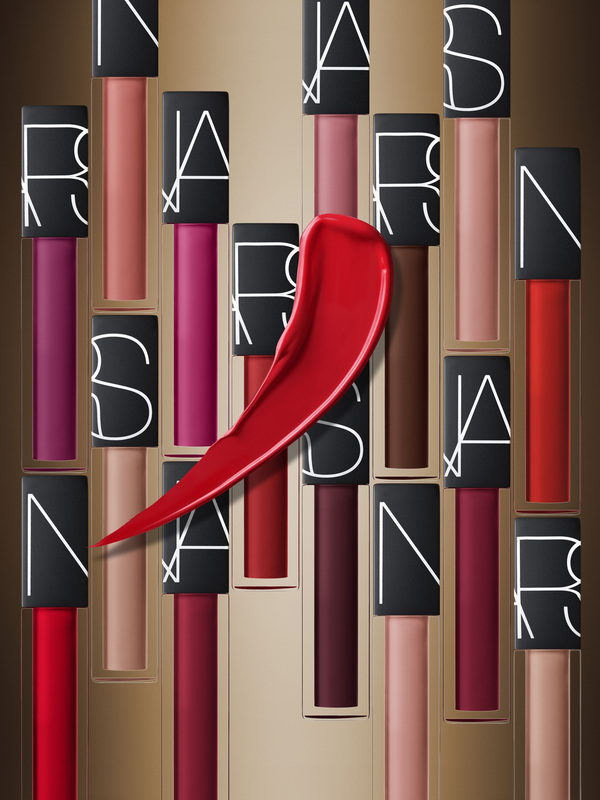 Laced with NARS’ Oil Infusion Complex, this hybrid lip colour combines the fluidity & effortlessness of a gloss with the coverage and comfort of a lipstick. Oil Infusion Complex also allows for a smooth-glide effect, instantly delivering saturated colour with sensorial comfort. I found these to be lightly scented, highly pigmented, with the texture of a nourishing lip gloss/cream hybrid. Even the paler shades provided pretty much opaque coverage without having to layer on. Something I did not anticipate. Additionally these Velvet Lip Glides feel lightweight on the lips and never overly slippery or sticky as a traditional gloss, these feel more like lipsticks with a velvety cushion-y feel. Here’s a line up of the shade range. On to some swatches from the preview. All done in a single swipe. *Note, although the swatches look rather wet and glossy, the finish on the lips is more of a creamy, soft look. The formula is divine. 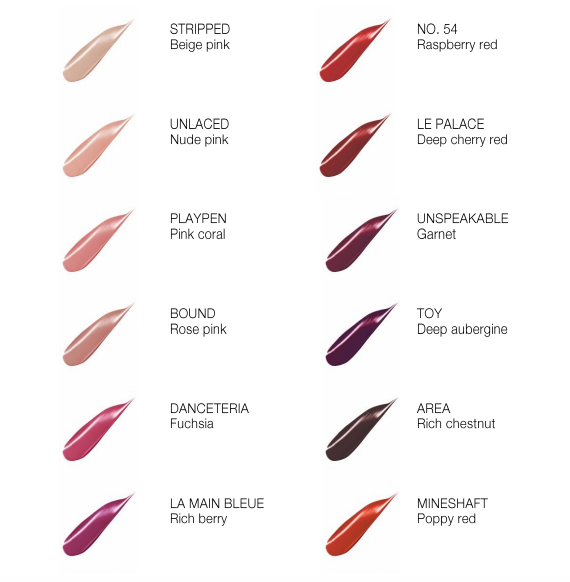 Think Audacious lipstick in a liquid cream format. Intensely pigmented, lightweight and comfortable. If you are tired of the matte liquid lipstick trend, it’s time to hop onto the Velvet Lip Glide bandwagon. You won’t regret it. They look gorgeous, love their glossy formulation and how pigmented they are 😍 lovely post! Thank you! They feel soo silky on the lips ❤ but less glossy than the swatches when smoothed out. Wow 😍 That’s awesome ! Will these be permanent, Michelle? I feel bound is a very easy to shade to pull off regardless of skin tone 🙂 A nice everyday colour for light to medium complexions. You need it! And so do I! Oh these look so gorgeous Michelle! I’m glad you were able to test them for us! I wonder if they get messy, slip and slide a lot if these aren’t matte? Playpen looks like a cute coral shade I’d be most interested in. Can’t wait to see more! Yes! They are super gorg! I’ve tested them a few times and I didn’t see a real need for a lip liner. They kinda hug the lips but do migrate slightly. Maybe the darker shades will need a liner. Anyways i’ll have a detailed review up by early next week! Still blogging the Clé de Peau liquid lipsticks haha. Almost done though. Been insanely busy this past week. Going to buy Bound today, it is lovely. Thanks for the awesome review!